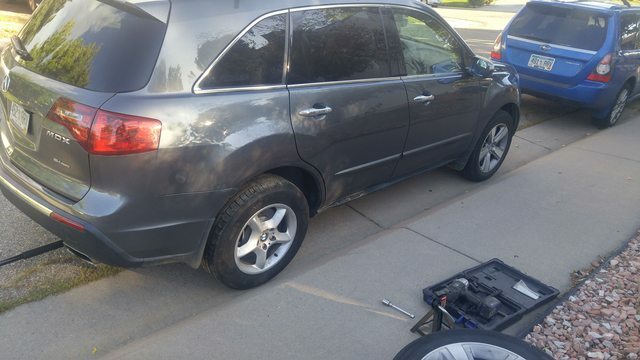 Acura MDX Forum : Acura MDX SUV Forums > General > Wheel and Tire Tech > 16" Wheels on a Second Gen MDX? 16" Wheels on a Second Gen MDX? Hey everyone, new here and I get my 2012 MDX this weekend. Anyways, I'm trying to get myself setup with a second set of wheels for winter, and I've found some wheels that are 16". I want to know if anyone has run 16" wheels and had them clear the brakes on a second gen? The offset is +57mm, so I will likely be getting some spacers to correct the offset difference (MDX has +47mm offset), so that shouldn't be much of an issues, in fact I might add some extra clearance by going with 25mm spacers. So, can anyone confirm if a 16" wheel is possible, and if you've done it, what offset did those wheels have? BTW, anyone know how many posts I have to have before I can post pictures? Guess everybody goes the opposite direction with their wheels, lots of info on 19-22 inch rims. It hard to even find 17" rim info. If I find some good info out I'll share it here. I do believe its 10 posts to post pics? Idk. And yeah, I can't remember anyone running 16" wheels. There are a few running 17" steel rims from the pilot so I know those will work. Thanks. I've got more time than I thought I would to sort this out now, so I'll be able to do some measurements and hopefully draw a few conclusions. to share in the future. I am interested on switching my MDX 2008 to 17" or even 16" if possible. The Pilot 2003-2008 uses 235/70R16 as factory size and the ride is very comfortable, soft and rubbered, while the MDX is (to my taste) too stiff and bumpy, every bump of the road is felt (although more stable/sporty). I usually drive slow with my family/kids so comfort is our priority over sporty ride. I would definitely switch it over to 17" but if the 16" rims is an option i would consider a try. BTW, i is there anyone using rims 17" on a 2nd generation MDX in this forum? if so, i would love to hear about the ride quality after the change, my guess is that we lost stability (more leaning when turning) but we get a smoother ride (softer, more comfortable ride) and most probably longer life on the suspension components (specially on the front suspension elements). Please share your feelings about it and any experience with the 17" will be highly appreciated. Bringing this back to life a bit. I have abandoned the 16" wheel idea, for now at least, and I'm going 17" for winters. 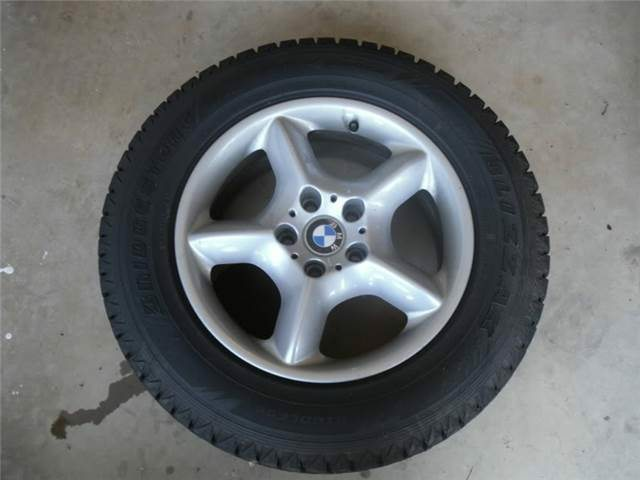 Last night I picked up a set of 2000-2006 BMW X5 wheels. They are 17x7.5 5x120 with an offset of +40mm, so that's pretty close to stock MDX specs (just 7mm more outboard). Also, the hub bore is 64.1mm for the second gen MDX and 72.56mm for the BMW X5 wheels, so I've got my hub rings on order (4 Hub Centric Rings 72.6mm to 64.1mm | Hubcentric Ring 72.56 - 64 fits Acura | eBay). Next up is lug seat. BMW uses a cone seat, Acura uses a ball seat, so I have to buy a new set of lug nuts M14x1.5 with 60° cone taper. I'll order some new lug nuts this weekend, I just need to measure the height I need before I order. The last thing that may throw a wrench in the works as i get these fitted is the bolt hole size. BMW X5s through 2006 used M12 lug bolts (possibly, haven't fully confirmed), the MDX has M14, so there is a chance I may have to enlarge the holes on the wheels to get my wheel studs to slip in, but I should be able to find that out pretty quickly. I've seen conflicting info in my research on whether or not the first gen X5 used M14 or M12 lug bolts, so they might be the proper size holes already. One thing to note, a lot of BMW wheels come in a staggered (different offsets for front and rear) configuration, this wheelset is not staggered. Ok, I've done a quick fit check of the BMW X5 wheels. They are going to work. 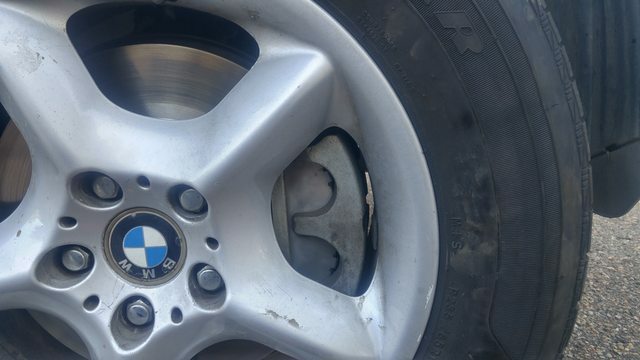 I also confirmed that the ones I have use an M12 bolt on BMWs so the holes are a little small, but the fit check showed that the studs come through. After that fit check, I realized, since I'm sizing down, I should really check fitment on the front since that has the biggest brakes. That also works! Then, I did a little investigating to see if 16" wheels will fit. There's not quite 1/2" of clearance between the rotor and wheel, so 16" wheels are not likely. I bet if you got the right wheels with the right offset it will work, but that will take some trial and error. How does it drive with the smaller wheels? Harder acceleration? Sorry, 10 months later I'll reply. The acceleration isn't noticeably different to tell you the truth, though the physics says there should be some small gains. What is noticeable is how much quieter and more comfortable the ride is, the extra sidewall really makes for a nice ride. I'll probably be swapping these back on after Christmas as we might finally start getting some snow in Denver and I'll start going skiing 75% of the weekends. I'll do some back-to-back accelerations to see if I notice the change when I do the swap over. 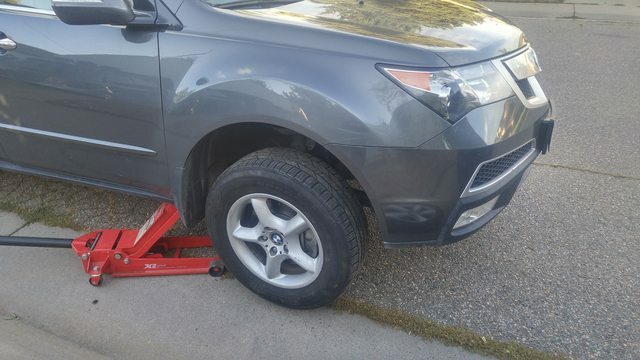 A little more follow-up info, the BMW wheels did not have TPMS in them, so I'm not sure if they would've worked with the MDX, so I instead bought some used TPMS off eBay, installed them when the new snow tires were installed and that was it, they were automatically detected by the car after a little bit of driving, no issues. And the reason I wanted 19mm wrench size on the lug nuts is that the lugnut wells in the BMW wheels are smaller than in the MDX wheels, so my 22mm socket (MDX OEM size) would not fit into the BMW wheel recesses, thus I went to 19mm wrench size and my 19mm socket fits in there.